Hi everyone! I have been nominated for my second Liebster Award. I am so flattered, thank you so much itsshaziaa for nominating me! I have also been nominated for my second Shine On Award, thank you Lucy!! Everyone, be sure to check out both of these lovely ladies blogs, they are fantastic! I will be combining both the Shine On Award and the Liebster Award, so I am just going to do 7 random facts and then answer Itsshaziaa’s questions. Create a new list of questions for the bloggers to answer, and list them in your post. Once you have written and published it, you then have to inform the people/blogs that you nominated for the Liebster award and provide a link for them to your post so that they can learn about it. I want to visit Australia. It seems so gorgeous and I heard that they have cockatiel birds flying around in the trees and I love cockatiel’s because that’s the type of bird I have! My shortest relationship lasted 2 years. When I was 3 years old my dream job was to work at Chucky Cheese…I was ambitious. I have played and quit probably ever sport possible. I am not an athlete at all, I love working out in the gym but I can’t play sports for the life of me. If I were trapped on a deserted island, 3 things I would need are chocolate, peanut butter, and bacon. I am addicted to coffee. I am unfortunately allergic to cats and dogs. It’s awful. Favorite genre of music? List one song:) My favorite genre is Pop, and a song that is one of my favorites is Work B**ch by Britney Spears. What/who is your biggest motivation in life? My dream to become a makeup artist gives me the most motivation in life. What do you LOVE most about yourself? What I love most about myself is that I am determined and motivated to achieve my goals. What is your definition of happiness in three words? Joy, pleasure, smiles. Best health tip? Give yourself 1 cheat day a week and treat yourself to prevent cheating all other days. It’s never good to deprive yourself, otherwise you will cheat more later. What is your ideal way of relaxing? Laying down and watching one of my favorite movies while sipping on some hot coco. One beauty essential you cannot live without. It’s definitely a tie between my brow bar and lipstick. What advice would you give to new bloggers? Post often, and be sure to read, comment, and like other blogs/posts. Also, don’t give up! Who is one designer/ make up artist you would love to meet? I would love to meet Stacey Bendet, the designer of Alice + Olivia. I would love to meet Bobbi Brown because I think she is inspirational, and a truly amazing makeup artist. I am crazy about her makeup and makeup brushes. What’s the first thing you notice when you meet someone new? What 3 foods would you need if you were on a deserted island? What was the last movie, tv show, or book that made you cry? If you had a time machine, what time period would you like to travel to and why? What are your hobbies and which is your favorite? If you had to pick, which movie would you love to be the main character in? What possession of yours are you most attached to? What is your favorite way to style your hair? 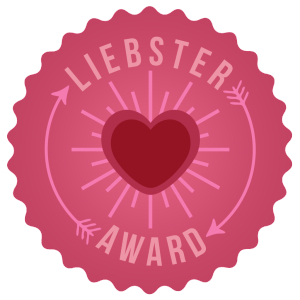 Thank you so so so much for nominated me for the Liebster Award! Thanks for the nomination! Here’s my response.